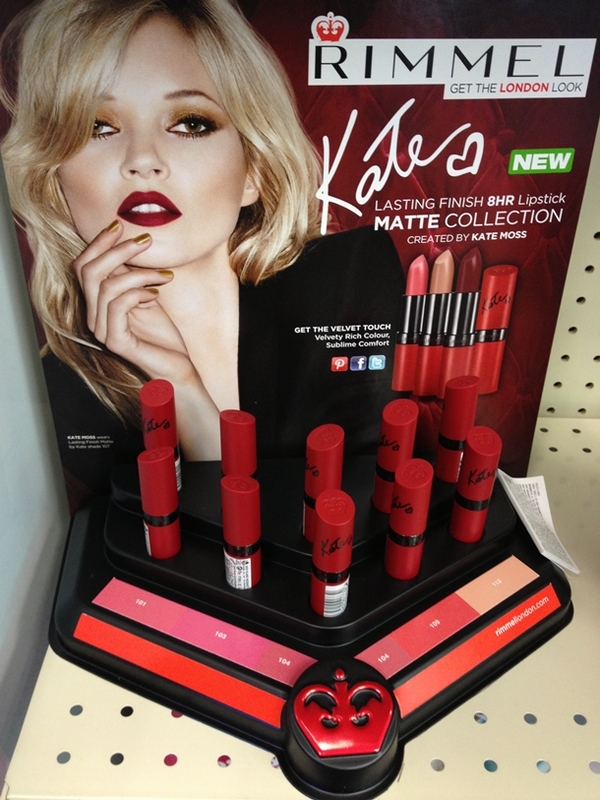 I came across this collection at Walgreens and I bought 2 shades. I didn’t have my phone with me so I wasn’t able to take a picture of the display. When I came home and opened the tube, they were both massacred (disgustingly smushed) so I returned it. I went to a different Walgreens (one closer to my son’s school) and came across a full display with all shades still available. Again I forgot my phone so no display pics. I found a picture snapped by the great Musings of a Muse but it looks smaller than the one at Walgreens. So I will try my best to snap of the Walgreens display and update this post. 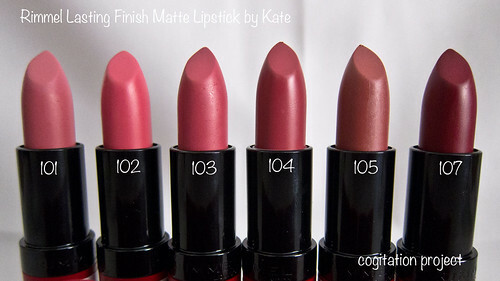 Sumptuously Rich Matte Colour with a sublime comfort. Intense velvet colour all day! My sense of smell is very sensitive so I immediately picked up the chemical-ly smell but quickly disappears as our sense of smell has a tolerance. Now that’s the only negative thing I can say about it. 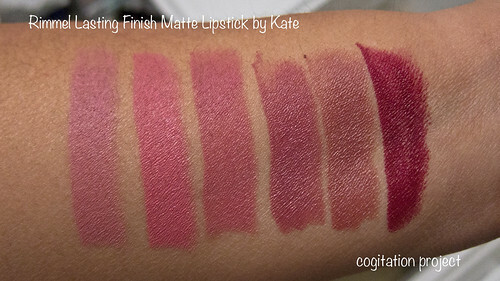 It’s very pigmented, creamy, glides on easily. It’s not hydrating but then it’s not drying either. It claims to last 8 hours which I can’t really test out. On me, it lasted through a slight snack with constant drinking through a straw up to 5 hours at which point I ate a meal. I really really love it. I’m glad I got them. I purchased them at Walgreens when they had the buy one at $5.79 get one half off promo. I believe it’s will be part of the permanent collection but for now I’m seeing limited availability at Walgreens. 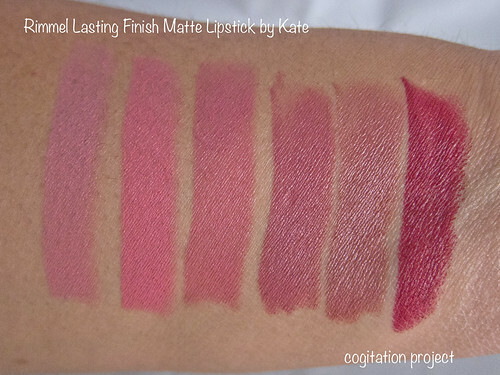 Thanks for the complete set of swatches! #102 and #105 are not available in the UK and France so I was curious to see how they look like in real life. Can’t believe you commented. I’m a huge fan and a follower of your blog. Thank you for dropping by and leaving a note. I like 103, 104 & 105 the most. It’s really not bad for the price. I just wish it’s not that limited. 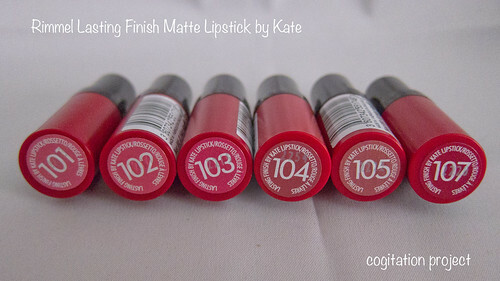 I have been searching every Walgreen’s store with no luck on finding 105 my favorite lipstick. Can I purchase it on line or is it not going to be available for purchase anymore?